Who doesn't love bubbles? They make you smile when they float through the air! Often, we use bubbles with our littles or in FOSS we use bubbles in our air and weather unit. 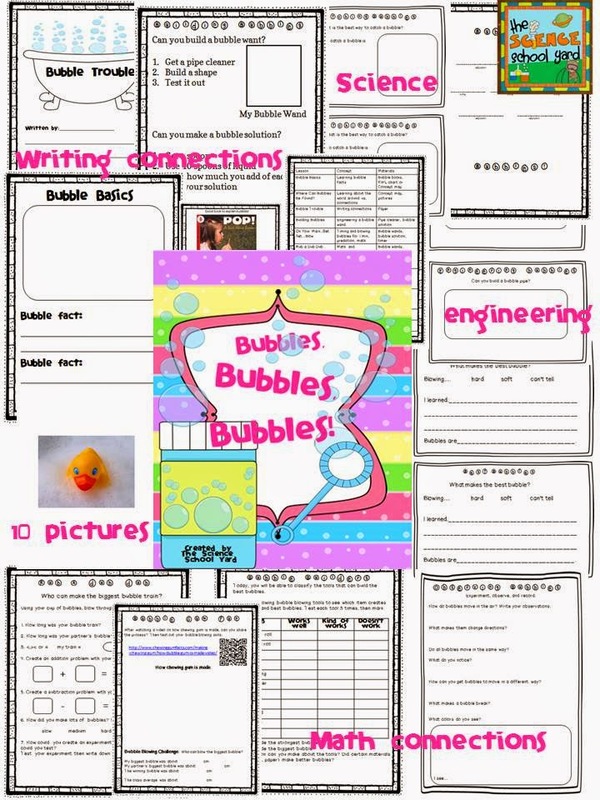 Here is a unit I made as an extension of our bubble unit to help my teachers add science into their week through math, writing, and engineering. I made this unit for this upcoming school year and I can't wait to use it! I am always looking for ways that my regular ed teachers can help add more science and kids LOVE bubbles! Check it out at MY TPT STORE. Can't wait to use this new unit with my 2nd graders this year! Pop on by for updated pictures!